Richard C. Pendry, an ex-member of the Parachute Regiment and a management consultant in the field of counter-terrorism in high-threat environments, spoke about the prospect of Daesh* teen widow Shamima Begum returning from Syria to Britain in an interview with Sputnik. Sputnik: The Begum family lawyer told the Guardian newspaper that the birth of Shamima’s child increased the pressure on the British government to let her and her newborn son back to the UK. But will Home Secretary Sajid Javid permit that, given he previously stated he would not hesitate to block her return? 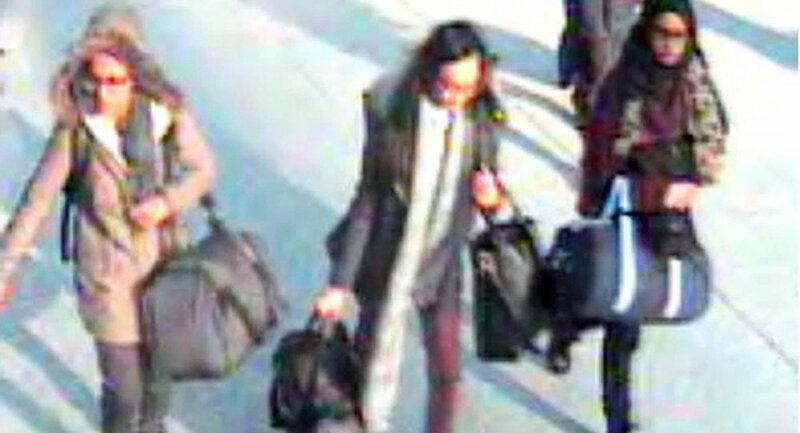 Richard C. Pendry: Shamima Begum is only one of the 400 — there's 400 other Islamic State supporters that are now back in the UK. She's just an addition to this. We need to be looking at that, and not get fixated on this one actual situation with her. The other aspect of this is that she needs to be investigated by the Syrian authorities and the Kurdish authorities, before she leaves that country, to find out what parts she played in any of the massacres, and any other laws that she's broken within Syria and Iraq. When you look at it, we don't know for definite, but was she responsible for having slaves in her household? Did she own slaves? Now this is a completely crazy question that we're asking in the 21st century, but this issue of slavery that occurred under Islamic State rule really hasn't been addressed properly. Sputnik: US President Donald Trump has called for other Western countries to accept back Daesh terrorists. Shamima told Sky News that intelligence agencies have no evidence against her doing anything dangerous within the terrorist organisation. So if the jihadi bride was accepted back in the UK and put on trial, should she be jailed for choosing to join the terrorist group? Richard C. Pendry: If she has broken the law, she is accountable for her actions. As we all are. Now, she is saying that she's a victim in all this. I don't understand that at all. Regarding President Trump actually calling for the other countries to take back their foreign fighters — again, I would reiterate that those crimes of those foreign fighters need to be dealt with in Syria and Iraq. I'm back and forth to Iraq and Syria quite often, I was there last month. I know they're doing a good job at the moment in sorting out these Islamic State people. They really are. It might not be to the way that we do it in the West, but they are very effective: the Syrians must have a chance, first of all, to actually try these people in their own country. What's the precedent that we would set here? That you can go off, you can do whatever you want to do, and then the country will get you back. No. Let them be tried for the crimes that they committed in Syria. After that, they can then be returned to the UK, where they can be tried again, if they've broken any laws. This is a normal jurisprudence, this is what normally happens. Sputnik: President Trump also wrote that the Caliphate is ready to fall, and that if European countries do not repatriate their jihadists, the alternative is that US forces will be forced to release them. Nonetheless, Trump administration officials seem to be aware of the danger linked to such move, and fear that these individuals might put European countries at risk, if fighters are not brought to justice. So why would they enable the President to threaten to set free these people? Richard C. Pendry: Can anybody really control Trump? He says what he wants to say. I think that Trump is headline-grabbing. It's a hollow threat. I really don't believe that the Syrians and the Kurds are going to allow those people out on the streets; after the horrendous crimes that they've committed, they would not do that. When I was in Erbil, last month, I was talking to a number of Kurdish security people who were saying that they've got a process in place for trying: they get tried in Baghdad, and they serve the sentences in Baghdad. So they will not turn them out. I can guarantee you that. The views expressed by Dr. Whittaker are his own, and do not necessarily reflect those of Sputnik.